RUBAIYAT HOSSAIN examines the lives, works and social influence of Begum Rokeya and Sultan Jahan Begum of Bhopal. The sudden reformist zeal of the 20th century South Asian Muslim communities has been an important entry point in understanding the crystallisation of Muslim national and political identity, that later came to determine the fate of the three major South Asian states: India, Pakistan and Bangladesh. The theological school of Deoband (1867), the Muslim education reform of Aligarh (1875), the peasant movements under an Islamic banner in rural Bengal, the partition of Bengal in 1905, and finally the creation of Muslim League in 1906 -- all indicate the coming of a modern Muslim identity under the back drop of a colonial political economy. It is worth inquiring: if during late 19th and early 20th century a modern Muslim identity was in its making, then what changes were occurring in the social, cultural and religious lives of South Asian Muslim women? Looking at the discourse produced by early female educationists, reformers, writers, campaigners, can we sketch out the prescribed, resisted and socially practised idea of Muslim womanhood? How did the discourse on women's reform produced by women reformers vary from those produced by their male counterparts? By examining the life, work and social impact of Sultan Jahan Begum (1858-1930), and Begum Rokeya Hossain (1880-1932) I will demonstrate the fact that, the primary difference between the works of male reformers versus the female reformers rest in fact that: while the former group recognised women as only means to others, let it be mothers, wives, or upholders of national identity; the latter group recognised women as independent agents, thus as means to themselves. Ram Mohan Roy's campaign for abolishing the practice of burning Hindu widows according to the re-interpretation of shashtras, Ishwar Chandra Vidyasagar's campaigns for remarrying Hindu widows, the Brahmo Samaj's activities in promoting female education, the re-creation of a mythic pure Hindu woman by the Arya Samaj, the reform agenda for Muslim women pronounced by the ulamas, and finally the new sharif identity that was constructed through the discourse around the modern sharif or bhadramahila's social and cultural repositioning -- all have an underlying common theme and that is, these discourses if scrutinised carefully, reveal themselves to be the grand narrative of South Asian modernity and nationalism where women figure merely as carriers of ideology and symbolism. In the South Asian context, culture specific construction of woman as a social category has to be contextualised within the trajectory of colonial intervention and subsequent advent of modernity. Women here performed a particular role not only as a moral platform for the national political articulation of sovereignty, but also functioned as a vessel of cultural signifiers central to the South Asian synthesis of modernity unique to the West. Women's biological bodies, its reproductive functions, sexual access to it, and finally the 'autonomy' of it became the force to move the wheel of prominent social reform agendas such as the Abolition of Sati Act 1829, Widow Remarriage Act 1856, and finally The Age of Consent Act 1891. These three major social reform agendas created the platform whereby a debate was initiated about notions of modernity, sovereignty and nationalism. The space which was assigned to women was the private, the cultural, the spiritual and the timeless, which altogether made up the nation's core or “inner domain of sovereignty”1. Whereas during the first half of the nineteenth century social reforms regarding the social and cultural positioning of Hindu women were advocated by a large number of reformers, by the end of the 19th century women's issues had become internalised in the private realm of national life. The British were no longer allowed to modify any norms regarding women rather, by the time of the Age of Consent Act 1891, Bengali men had successfully constructed the home, the private and the women as a sovereign domain where only the native rules would be followed. Western philosophy was recognised to be superior in the material or outer domain, however, the inner or spiritual domain South Asians were believed to be superior, thus following the West was not only unnecessary, but also harmful. This inner domain was symbolised by the woman who was to remain timeless as the bearer of tradition and spiritual superiority as nation fulfilled its trajectory from barbarity to civility, from tradition to modernity. As the British missionaries and officers commented on the backward status of South Asian women and the inhuman and vulgar practices carried out in women's private quarters -- the treatment and control of women gained a new dimension of significance within the colonial discourse.2 Muslim women's suffering under purdah, especially in reference to education, polygamy, child marriage, mobility, health and hygiene became strong issues of criticism from the British official and missionary camps. Within this discourse, as women's rights became a yardstick for measuring society's progressiveness, modernity and civility; the obvious response from the South Asian camp was to engage in a process to firstly, improve women's fallen status and treat them more 'humanely', and secondly, to take the authority and responsibility of controlling the female folk by making it the nation's private business. The end result was, the social reform agendas of colonial South Asia did not take into account the sharif woman's individual rights as their central issue of debate, rather as Lata Mani argues, “tradition is reconstituted under colonial rule, and women and brahmanic scripture become interlocking grounds for this re-articulation” (Mani in Sangari and Vaid 90). This aspect of using women and religious scriptures to reconstitute tradition to create a new modernity is common both in the Hindu and Muslim communities of South Asia. The social and political developments of South Asian Muslim communities crystallised especially after 1857 when gradually the Muslim modern identity began to articulate itself. The concept of sharif or ashraf was understood as something that was previously only attainable through birthright now could be acquired through education, self discipline and strengthening of one's own modern national identity.3 Muslim women's social reform fought against two external 'others', the Hindus and the British. Thus, Muslim bhadramahila or women had to differ themselves not only from Western women, but also from their South Asian Hindu counterparts. Purdah, in this became an extremely important marker of Muslim identity, which visibly set Muslims apart from Hindus and British as a social, cultural and religious community. Muslim women, therefore, had an added burden of cultural symbolism on their head, one that seriously restricted their mobility, avenues for education and employment; in turn making the entire debate around modern Muslim woman's social repositioning even more complicated. Women are lazy, and they put off a job scheduled for one time to another time. 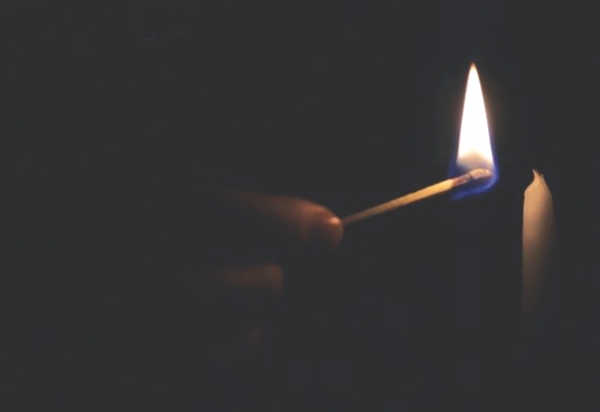 This often causes harm and disruption. I consider purdah which is customary among the Muslim women to be the best we can have. You should consider the man a thirsty traveler and the woman a spring. Unlike the Hindu women's reform movements, which depended heavily upon legislative changes, Muslim women's reform was carried out on a more social level around issues of education, purdah, heath care and appropriating a literate modern Muslim identity. In addition, issues related to marriage, divorce, polygamy and inheritance also figured as prominent issues, and the application of Sharia law was offered as a revolutionary solution to the deprived status of Muslim women in 1937. The social reform of Muslim women can be best viewed from three different angles, a) ulama-led attempts to purify Muslim women and their religious practices through educating them about the true Islamic teachings, b) Modern educationist- and reformer-led movements for women's education, c) literary solutions offered to uplift the moral psyche and provide a guidance for the modern Muslim woman's subjectivity. The underlying theme of all three strands of reform was the overall effort to come in terms with a modern Muslim identity via manipulating, re-conceptualising and appropriating the modern Muslim woman. The ulama idealised women's purity, religiosity, morality and loyalty to Allah and the family of utmost importance. Women's unconditional submission for the cause of the family was glorified. Women's religious obligations were considered to be of more significance than that of men, since the zenana was considered to be 'corrupted' by non-Islamic rituals, which was recognised as a great threat to the Muslim identity since women were the primary caregivers of children and managers of the household. It was believed that if women were given proper Islamic education then it would be possible to restore the true Islamic teaching to the entire community. Thus, within this discourse women became the vehicle through which a desired code of Islamic sanctions was to be disseminated. This domain of reform is perhaps best manifested in Maulana Ashraf Ali Thanavi's exemplary work Bihishti Zawar. Since its publication in the beginning of 20th century this book has become a guide for respectable Muslim women, it has been translated into many languages and is widely circulated and read even today. One may ponder about the lasting popularity of this text. The primary reason this text became so important and durable over centuries is because of the basic egalitarian premise it sets itself off from. The text claims no innate difference between men and women, and considers women to be equally capable of acquiring knowledge and spiritual height. As Barbara Metcalf argues, this text is unique in the sense that it differed from Victorian and Bengali reform agenda which located women as a locus of home, whereas Bihishti Zewar “sought to do nothing less than bring women into the high standard of Islamic conformity that has been the purview of educated religious men” (Metcalf 7, 1990). However, this argument does not suffice because Thanavi never questions men and women's social role and power dynamics, moreover, his text is heavily underlined with a sense of women as 'lesser beings'. How does one account for such duality in this text, which on one hand proposes an egalitarian Islamic sanction for men and women, and on the other hand propagates highly problematic patriarchal value systems? Muslim women's education was conflicted with two issues -- firstly, the early schools for girls were run by Hindu and Christian authorities and secondly, the challenge to package women's education in such a way that it would not supersede the boundaries of prescribed social seclusion. Sir Sayyid Ahmad, the paramount figure of Muslim modern education, did not favour institutionalised schooling and Western education for women. His dualist approach towards men and women's education clearly demonstrates his ideological split between the home and the world, where Western scientific education was necessary in the outer realm, whereas for the inner realm, for women Quranic education and primary knowledge of literacy was considered to be sufficient. Though Sayyid Ahmad Khan did distinguish between secluded purdah and purdah with mobility, he strongly adhered to the point that women should receive home-based education whilst upholding the social institution of purdah. However, there were more progressive men at Aligarh who initiated institutionalised schooling for Muslim women. Shaikh Abdullah started a girls' school at Aligarh in 1906. He also assisted his wife in editing a women's magazine in Urdu published from Aligarh titled Khatun. Sayyid Karamat Husain established women's section of the Muhammadan Educational Conference in 1896 and founded a girl's school in Lucknow 1912. Apart from women's schooling, the role of print media became crucial in voicing the women's opinion and creating a discourse about the modern sharif Muslim woman. Middle class Muslim women writing in Urdu became visible during this period and they wrote on varying issues. However, as Minault rightly points out, these debates did not challenge the basic ideology of the reform agenda and its project of reinterpreting scripture, creation of modern identity, re-inventing a glorious past, since middle class modern Muslim women had “much to gain from the enhancement of their position in the household, while maintaining the status and honor of their male kin” (Minault 157, 1998). If education and religious reform sought to uplift women's status by introducing Islamic principles and schooling, the vibrant literary genre fulfilled the responsibility of providing guidance for women's moral, psychological and spiritual development and goals. Among other notable authors of this time, Sayyid Ahmad Dehlavi must be noted for his important work such as the Dictionary of Begumati Zuban, Rahat Zamani Ki Mazedar Khahani (The Amusing Story of Rahat Zamani), Qissa-i-Mehr Afroz (The Tale of Mehr Afroz) and Rasum-i-Delhi (The Customs of Delhi). Nazir Ahmad Dehlavi's Mirat ul Arus (The Bride Mirror 1869), a story of two sisters Akbari and Asghari, became very popular along with Khwaja Altaf Hussain Hali's Majalis-un-Nissa (Assemblies of Women). These texts offer women a proper diction to speak in, role models to follow and a modern identity to strive for. They offered moral lessons in forms of stories, for instance, in the story of Asghari, Nazir Ahmad proposes a revitalisation of home schooling through his heroine's initiatives in becoming a successful mother, householder, wife and social reformer by providing education for girls in the secluded domain of her home. The literary genre was dominated by the Western influenced modern idea of emotional restrain, reason and consciousness. These elements were considered necessary for religious reform in accordance to the logic that, if self control, reason and consciousness reigned over one's mind, purification and revival of a pure and high form of Islam was possible in the modern social life of South Asian Muslims. Women once again were located as the domain of superstitious practices in this discourse, and the women's reform was to serve two purposes at once: uplift women's moral and spiritual plane, and by becoming compatible companions to entice modern Muslim men from ill practices such as visiting courtesan women and indulging in unnecessary polygamous marriages. Once again, women in these narratives appear devoid of individual desires, aspirations and zeal, once again, women are modelled as the givers and means to other, but not as means to themselves. The most important social impact created by Begum of Bhopal and Begum Rokeya was their relentless effort to promote education for Muslim girls. As the social and cultural practices of purdah restricted the mobility of Muslim women to a great extent, institutionalised schooling became a very significant social debate in early 20th century Muslim reformists. In fact, since there has historically never been anything parallel to the suffrage movement in South Asia, the efforts by female icons like Begum of Bhopal and Begum Rokeya to initiate female education to eventually merge women into the public sphere could be understood as the inception of modern Muslim feminism in South Asia. As I have argued earlier, the primary difference between the Begum of Bhopal and Begum Rokeya and their contemporary male counterparts lie in the fact that these female reformers understood women as means to themselves, and their success in breaking down the home-world, private-public, spiritual-material demarcation of nationalism pronounced by patriarchal reformists. Though Begum of Bhopal and Begum Rokeya to a large extent adhered to institutions such as purdah, and designed domesticity-inclined curriculum for their schools, their basic approach was underlined by a deep-rooted understanding of women as individual agents; thus, their final call was to the awakening of the individual subjects in Muslim women who were to be in Sultan Jahan Begum's words, “polite, free-thinking, patriotic, civilized, high-minded and sympathizing” (Lambert Hurley 77, 2007). As Lambert Hurley rightly points out, it is crucial to focus on women as agents of reform and change, in order to get a historical picture that is not completely dominated by “male regulated agenda” (Lambert Hurley 7, 2007). Thus, in this section I will discuss some of the elements of Sultan Jahan Begum and Begum Rokeya's reform agenda to mitigate such “missing links,” and also to demonstrate the fact that the most important social impact created by these female reformers was the fostering of a feminist ideology, which will come to provide guidance for modern Muslim women not only to become dutiful mothers, wives and citizens, but most importantly to become individual agents capable of free thinking. Sultan Jahan Begum, who came from a strong lineage of female rulers, was highly active in state craft, domestic matter, religious piety and finally, social reform for women. South Asian history can recall many noteworthy women who played very important political roles and superseded the socially prescribed role of a passive veiled spectator. However, Sultan Jahan Begum is perhaps the only female ruler who consciously and actively designed and carried out social reforms in order to uplift the status of Muslim women. Sultan Jahan followed Sikandar Begum and Shah Jahan Begum's footsteps in education reform and women's health care. Sikandar Begum and Shah Jahan Begum played extremely important roles of initially setting up schools for girls as well as providing avenues for women to seek healthcare within the parameters of purdah. Sultan Jahan Begum was successful in expanding her predecessors' influences to a greater extent where she used her political power to gradually shift the public opinion towards female education to a more positive bent. Her most significant move was to claim authorship over female curriculum, “the female temperament and character can be understood by women, and by women alone” (Lambert-Hurley 80, 2007), thus marking an autonomous domain for women with an understanding that women's reality was to be understood and reformed with a particular gendered specificity. Including establishing Sultania Girl's school in 1903, she revived the institutions started by her predecessors, and provided significant patronage to establish and sustain many girls' schools outside the state of Bhopal, especially that established in Aligarh by Shaikh Abdullah. Sultan Jahan not only functioned as an icon of female individuality and provided patronage for women's education, but her recognition of women as individuals and not mere wives and mothers led her to solve some of the crucial problems faced by women during that time period. Except for schools run by Anjuman-i-Himayat-i-Islam, the male reformers cared very little about education of non-ashraf women. Their primary target was women who could be turned into wife material eligible for the new modern Muslim man. The Begum on the contrary was concerned with women from poorer classes and most importantly with women who were older, widowed and left with no means to support themselves. Sultan Jahan established technical training institutes for such women and offered them avenues to earn wage-earning skilled labour. This is where Sultan Jahan's reform agenda splits from her male counterparts, as she recognises women who are not potential brides as independent agents of change. Through her efforts to train these women to become independent wage earners and active contributors to the state's economy, she flips the concept of women as extensions of men (where women's reform was only necessary in order to support the male domain), to refigure women as equal members of the state, regardless of their affiliation to the marital institution. Sultan Jahan also recognised the problems related to the domestic sphere of child birth, hygiene and medical practices. She established schools for mothers, school to train indigenous medical practitioners, training for midwives and sanitation projects. In a speech given at Maternity and Child Welfare Exhibition held in Delhi in 1920, the Begum noted the negative effects of lack of hygiene and poverty on women's health. It is noteworthy that in her health reform efforts she did not dismiss indigenous practices of yunani and dais, but recognised the popularity and viability of such institutions, thus seeking to modernise them without discarding them wholly. Sultan Jahan's approach was to achieve a middle ground whereby reform would be introduced in accordance to the material conditions present in specific social contexts. The Begum's “distinct feminine sensibilities” (Labmert-Hurley 174, 2007) enabled her to employ a set of reform that would be most effective for the current social structure. She did not outright dismiss institutions such as purdah, but drew examples from Islamic history to demonstrate that purdah certainly did not mean lack of mobility and independence. It is this re-inventing of institutions such as purdah that highlights the Begum's approach towards women's reform. She preferred to take a middle path, and instead of rejecting social institutions, sought a reform agenda towards recognising greater women's rights. This theme, as I will demonstrate in the next section, is eminent in Begum Rokeya's reform agenda as well: the adherence to societal norms with a disguised feminist agenda. A suitable and effective reform agenda was sought, and the goal was not to achieve feminist emancipation through rejecting all patriarchal institutions, but to introduce gradual and sustainable institutional resources to strengthen the women's domain, which was achieved not by “storming the bastions of male supremacy, but by building gradually of existing practices in order to introduce limited change” (Lambert-Hurley 3, 2007). 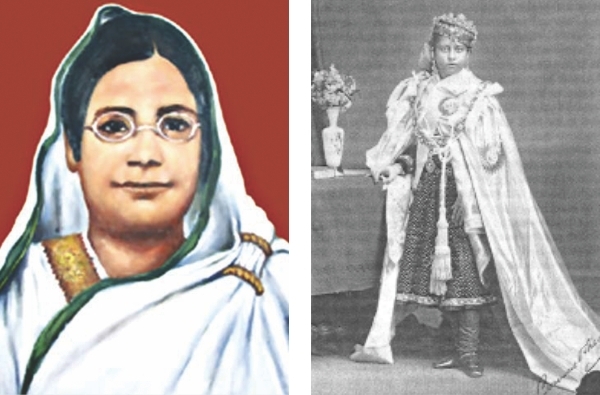 Begum Rokeya single-handedly ushered in Muslim women's reform in Bengal. The most interesting element of her work is the duality where she on one hand fiercely criticises patriarchal institutions, rejects religion as authored by men, and displays utter disgust towards institutions of purdah, on the other hand, her reform agenda comes around to follow the similar middle path as the Begum of Bhopal whereby gradual change was introduced in accordance to social reality and with respect to social practices. 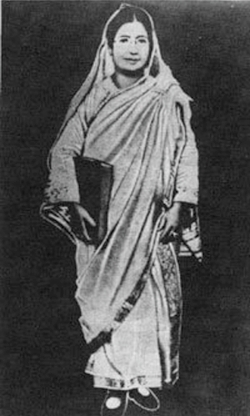 The most important features that distinguish Rokeya from her male counterpart reformers are her sharp feminist critique of patriarchy in her writing, her emphasis on women's physical fitness and development of mental faculty, her recognition of women's education as means of economic independence, and finally, her distinction between abarodh and purdah. Whereas abarodh was understood by Rokeya as the negative and extreme application of purdah, the practice of purdah in itself was not condemned, rather welcomed as female propriety. As she dismissed abarodh as a practice where women were “shut off from public space, or any healthy participation in society” (Amin 145, 2001), and purdah as means of female modesty with mobility and public participation, she broke down the demarcation of women into the private sphere in the name of purdah or modesty. It is this sharp analytical ability of Rokeya that echoes in her work and writing that still makes her into the only female feminist icon contemporary Bengali Muslim women look up to even today. The resilience of Begum Rokeya's social impact lies in that fact that her writings, actions and resistances strategically pin point, analyse, and to some extent resolve gender biased social, cultural and political practices. Besides establishing a girls' school, she was also the founder of Anjuman-e-Khawatin-e-Islam (1916). Rokeya's personal life was overwhelmed with tragedies with the early loss of her husband, and the loss of her two baby daughters in infancy. She suffered immensely from a wave of criticisms and various obstacles in initiating social change for women, but she worked relentlessly literally till her last breath to bring changes to women's downtrodden status. Begum Rokeya offered Bengali Muslim women books instead of kitchen utensils. She told them about the vast world outside the bundles of saris and jewellery, inspired them to break out of the patriarchal framework and taste their own individualities, and finally she called out to them with a sense of feminist sisterhood -- Jago Go Bhogini or Wake Up Sisters! Rokeya Sakhawat Hossain was born in 1880 in Rangpur. Her father was a local zamindar and preferred to maintain strict purdah for the women in his family. Women in the household were taught only Arabic in order to read the Holy Quran, but as Rownak Jahan pointed out, “defying custom, and valuing their Bengali identity over their religious one, Rokeya and her gifted elder sister, Karimunnesa persisted in learning Bangla.”8 Rokeya continued her studies with her elder brother Saber without the knowledge of other members of the family and continued to feed her passion for knowledge after getting married at the age of 16 to Syed Shakhawat Hossain, a widower of 39, in 1896. Rokeya was well-versed in Bangla, English, Urdu, Arabic and Persian, but chose to write the bulk of her literature in Bangla except for a few pieces in English, including her first novel Sultana's Dream (1905). Rokeya started writing her reformist pieces for various different magazines starting from 1903, which were later published under the title Motichur in 1908. Motichur part two was published in 1921, Padmaraga (novel) in 1924 and Oborodhbashini or the Secluded Ones in 1928. Rokeya Racanavali published by the Bangla Academy in 1973 included her unpublished writings and letters both in Bangla and English including her unpublished poetry. Begum Rokeya died on December 9, 1932, and up until 11 pm on December 8, 1932, she was working on an unfinished article titled, 'Narir Odhikar' or Women's Rights. Two major organisational contributions Rokeya made for attaining women's rights were her school and 'Anjuman-e-Khawatin-e-Islam' (Muslim Women's Association). Sakhawat Memorial Girls' School started off with eight students in 1911 in Kolkata, and by 1915 the number of students increased to 84. By 1930 the school had become a high school, including all 10 grades. The curriculum included physical education, handicrafts, sewing, cooking, nursing, home economics and gardening, in addition to regular courses in Bangla, English, Urdu, Persian and Arabic. Rokeya emphasised on physical education because she believed that it was important to make women physically stronger, fit and confident. Rokeya also recognised the importance of women's economic independence. Her curriculum therefore, included vocational training in crafts and sewing. She realised the importance organised action for changing women's position and raising public opinion for it, therefore, she founded Anjuman-e-Khawatin-e-Islam in 1916. The activities of this organisation related directly to the disadvantaged and poor women. It offered financial support for widows, rescued and sheltered battered women, helped poor families to marry their daughters, and above all helped poor women to gain literacy. Rokeya ran a slum literacy programme in Kolkata by forming work teams to visit women in the slums to teach them reading, writing, personal hygiene and child care. Even though Rokeya made important contributions through her organisational effort, her writing remains her most significant gift to Bengali Muslim women. 1 Chatterjee Partha, The Nation and its Women in Guha, Ranajit, ed. Subaltern Studies Reader 1986-1995. Minnesota: University of Minnesota Press, 1997. 2 Karlekar, Malavika, Voices from Within: Early Personal Narrative of Bengali Women. Delhi: Oxford University Press, 1993. 3 Minault, Gail, Secluded Scholars: Women's Education and Muslim Social Reform in Colonial India, Delhim Oxford University Press, 1998. 7 Metcalf, Barbara, Perfecting Women: Maulana Ashraf Ali Thanawi's Bihishti Zewar, University of California Press, 1990. 8 Jahan Rounaq and Hanna Papanek, Sultana's Dream and Selections from the Secluded Ones, Feminist Press, 1998. 9 Kadir, Abdul, ed. Begum Rokeya Rochonaboli. Dhaka: Bangla Academy 1984. 10Kadir, Abdul, ed. Begum Rokeya Rochonaboli. Dhaka: Bangla Academy 1984. 1. Ahmed, Rafiuddin. The Bengali Muslim in Search of Social Identity 1905-1947. Dhaka: UPL, 1998. 2. Amin, Sonia. Women and Society in Islam, Sirajul, ed. The History of Bangladesh 1704-1971 (volume three). Dhaka: Asiatic Society of Bangladesh, 1992. 4. Bagchi, Barnita, Sultana's Dream and Padmarag: Two Feminist Utopias, New Delhi, Penguin Books, 2005. 5. Chatterjee Pratha, The Nation and its Women'in Guha, Ranajit, ed. Subaltern Studies Reader 1986-1995. Minnesota: University of Minnesota Press, 1997. 6. Forbes, Geraldine, Women in Modern India, New York, Cambridge University Press, 1996. 7. Jahan Rounaq and Hanna Papanek, Sultana's Dream and Selections from the Secluded Ones, Feminist Press, 1998. 8. Lambert-Hurley, Siobhan, Muslim Women, Reform and Princely Patronage: Nawab Sultan Jahan Begum of Bhopal, London, Routledge, 2007. 9. Metcalf, Barbara, Perfecting Women: Maulana Ashraf Ali Thanawi's Bihishti Zewar, University of California Press, 1990. 10. Minault, Gail, Secluded Scholars: Women's Education and Muslim Social Reform in Colonial India, Delhim Oxford University Press, 1998. 11. Karlekar, Malavika, Voices from Within: Early Personal Narratives of Bengali Women, Delhi, Oxford University Press, 1993. 12. Kadir, Abdul, ed. Begum Rokeya Rochonaboli. Dhaka: Bangla Academy 1984. 13. Khan, Shaharyar M, The Begums of Bhopal: A Dynasty of Women Rulers in Raj India, London, I.B. Tauris Publishers, 2000. 15. Ray, Bharati, Early Feminists of Colonial India: Sarala Devi Chaudhurani and Rokeya Shakhawat Hossain, Oxford University Press, New Delhi, 2002. 16 Sangari and Vaid ed. Recasting Women: Essays in Indian Colonial History. New Jersey: Rutgers University Press, 1999.